This article discusses the current #increase of #military #production #export of #Ukraine and #State #Concern #Ukroboronprom. According to the recent study conducted by the Stockholm International Peace Research Institute, in the period from 2011 to 2015 Ukraine became one of the top suppliers of weapons and military products in the world. Pursuant to the report, the share of Ukrainian military export amounted to 2.6% of the total world exports, which allowed the country to become the 9th biggest supplier of weaponry after the USA (33%), the Russian Federation (25%), China (5.9%), France (5.6%), Germany (4.7%), the United Kingdom (4.5%), Spain (3.5%) and Italy (2.7%). The same study analyzed the amount of sales of weapons and military products of individual companies for 2014. 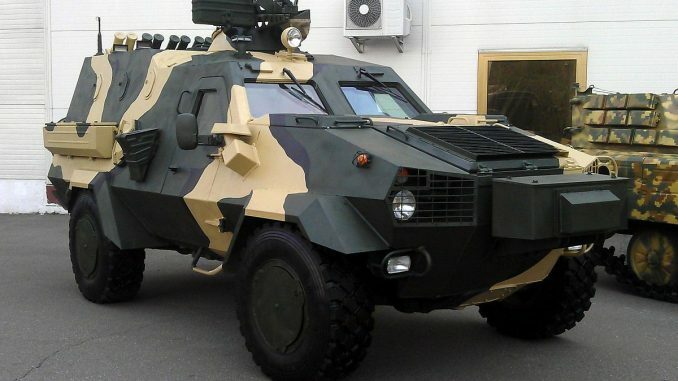 Thus, State Concern Ukroboronprom increased its sales to USD 870 million which allowed the company to jump from 92nd to 81st place in the world ranking. We note that 2015 and 2016 were also ground-breaking years for Ukroboronprom. Thus, following its participation in DefExpo-2016 in India, 15 memorandums of cooperation were concluded with Indian companies. In particular, the signed memorandums of cooperation deal with development of the multipurpose military transport aircraft for the needs of the Indian Air Force and for civilian purposes as well as installation of supply gas turbines on Indian naval forces equipment. At the event, Ukroboronprom presented more than 40 products, developed and manufactured by Ukrainian enterprises. Additionally, in April 2016 a floating dock was constructed and transferred into the ownership of a company from South Africa. Following that, State Concern Ukroboronprom concluded another contract for construction of a floating dock for a Cypriot company. Furthermore, the Chairman of Kherson Region Administration also announced that there are ongoing negotiations with companies from South Africa and Kazakhstan on construction of similar floating docks. We note that in 2015 Ukroboronprom concluded a number of contracts in the amount of USD 1.3 billion. Also, the United States of America has partially lifted some restrictions on cooperation with Ukroboronprom.